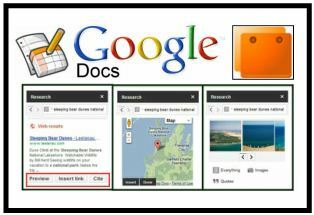 Please join me and Simple K12 for a webinar to explore the integrated writing and research tools available in Google Docs to help students improve writing skills. Mark Anderson @ICTEvangelist has created an interactive Wallwisher board of sticky notes today on a hot topic, iPad apps for Edu. This is a great chance for educators to collaborate and quickly collect valuable resources. Please join in and create a note on the embedded wall below or for a better experience please visit the wall itself. It appears as though Wallwisher is trying to change it’s name to Padlet. Good luck! What’s your favourite iPad app 4 Edu & why? 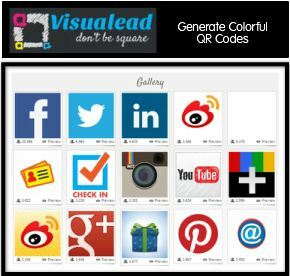 Visualead is a free and user friendly tool for generating colorful QR codes in three simple steps. 2. Drag the slider over the image. 3. Click lick a button to generate the embed code. Visualead is integrated with many popular social networking tools which allows you to create a QR code to suit your needs. Here is an example of a QR code created with the free version of Visualead. This was designed to help training participants quickly jump to my Digital Differentiation interactive page. Here are some excellent sources of ideas for using QR codes in the classroom from some amazing educators..
Scroll over this interactive image to try Visualead for yourself.